The Publishers’ Meet and Greet will be held on February 13, 2019, 3 p.m. to 6 p.m., in the Niceville Curriculum Complex Training Room. The Okaloosa County School District is holding a meet and greet event with the publishers of the math textbooks which are being considered for adoption. All teachers, parents, and community are welcome to attend. Individuals will have the opportunity to meet the publisher representatives of materials being considered for adoption in the courses listed below, learn about the programs first hand, and ask questions. 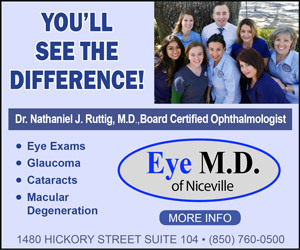 The address of the Niceville Curriculum Complex is 202 Highway 85 N, Niceville.